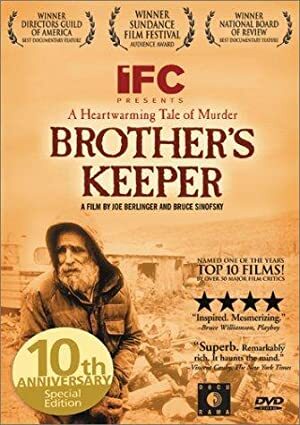 Brother’s Keeper (1992) – What's New on Netflix Canada Today! This documentary by Joe Berlinger and Bruce Sinofsky details the murder trial of Delbert Ward. Delbert’s of a family of 4 brothers (the other 3 being Roscoe, Lyman and William – Bill, for short), working as semi-literate farmers, and living together in isolation in a ramshackle shack, until William’s death. The subsequent police investigation and medical examiner’s autopsy suggested Bill may not have died from natural causes, and Delbert was arrested on charges of second-degree murder. Under questioning by police, Delbert appears to have waived his rights and signed a confession, but, it seems he might not have been competent, and was coerced into doing so. The film explores possible motives for the crime, from mercy-killing (Bill was ill at the time), to progressively more outré hypotheses. It also shows how residents of the rural community of Munnsville, NY rallied to the support of one of their own (residents previously considered the Wards as social outcasts), against what they felt were intrusive ‘big-city’ police and a district attorney involved in an election, who might’ve used the death to help bolster his candidacy.